As a Buffalo Injury Attorney, I sometimes get calls from potential clients who have been injured in an accident where the other vehicle is a tractor-trailer. 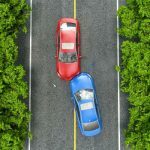 One of their most frequently asked questions is, “Is there anything different or special about this type of claim as opposed to a typical two-car accident?” and our answer is a definite yes. These claims have several components that are unique to tractor-trailer accidents. The Department of Transportation may conduct the initial investigation. They might examine the driver’s logbooks to ensure that they are accurate and current. Traffic tickets may be written and given to a tractor-trailer driver that a regular car driver would never see. For example, the truck’s load might have been improperly balanced – or it may have shifted – or the driver’s CDL may be outdated, or he may have been driving for too many hours in a row. They also do a brake inspection. 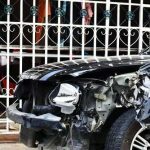 Our team of lawyers is well versed in handling tractor-trailer accidents, from conducting the initial investigation through filing all of the documentation created based upon the investigations of others. Were you or a loved one involved in a truck accident when you were driving? Contact dedicated Buffalo Injury Attorney Richard Nicotra to fight for you.